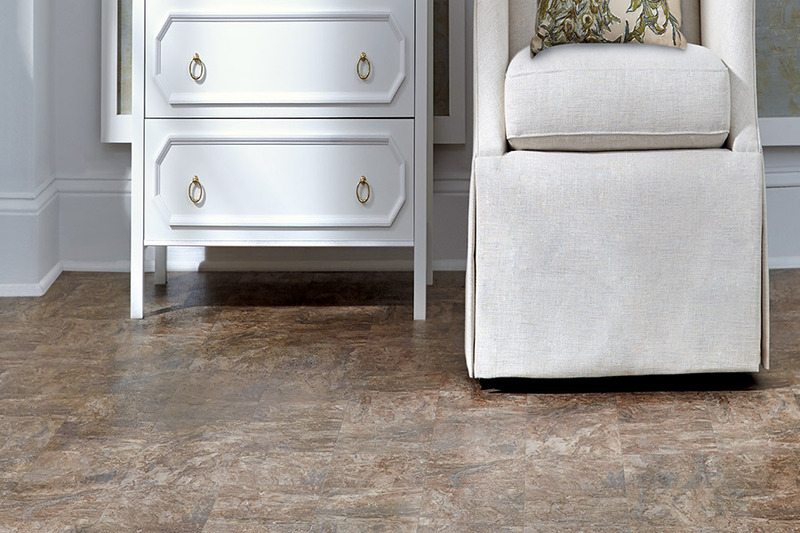 Many homeowners walk on by the opportunity to learn more about sheet vinyl, primarily because they don’t have all the facts on today’s vinyl floor coverings. Today, we hope to alleviate that situation for those of you reading this, by sharing a few details about this particular material. 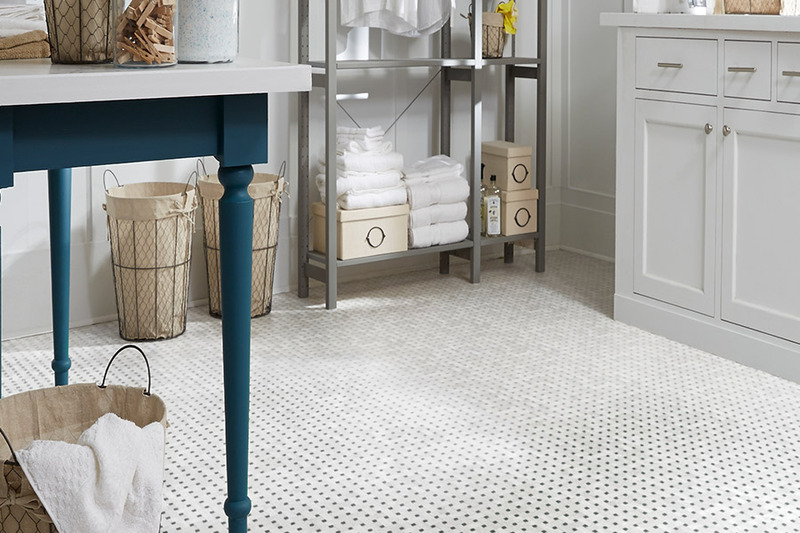 Not only is it a gorgeous choice in flooring, but it can also give you a little more protection when it comes to spills. Delair’s Carpet & Flooring has over 35 years of experience in the business, with a strict dedication to 100% customer service. In addition, we offer an extensive line of flooring materials at affordable prices, and flooring specialists you can trust. 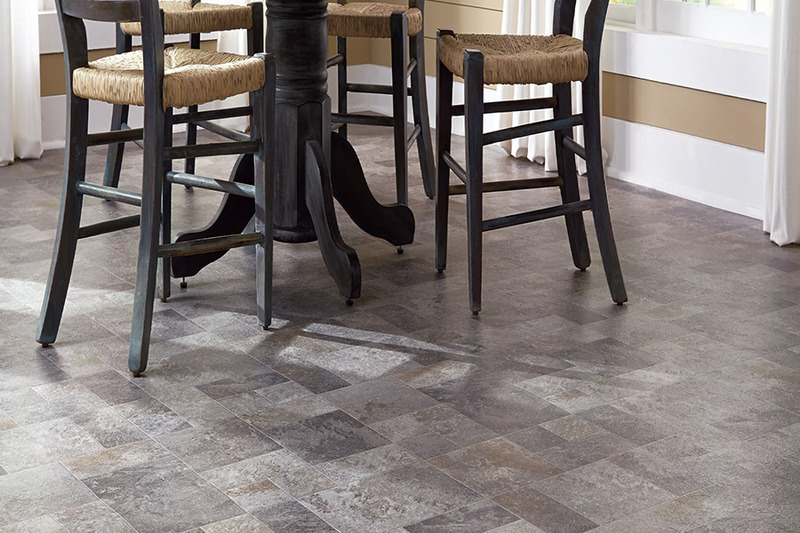 We offer free flooring estimates, which you can schedule when you visit our East Montpelier, VT showroom location. In addition to the areas of East Montpelier, Morrisville, Stowe, and Waterbury, we also look forward to serving you as well. 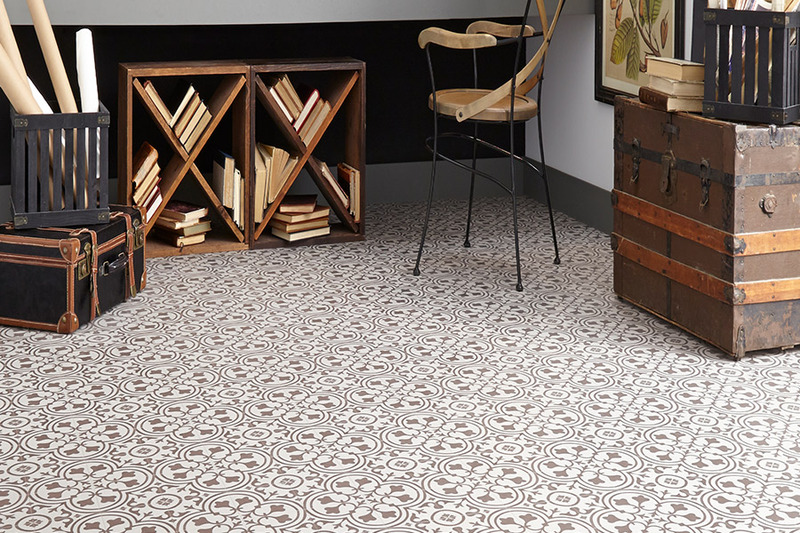 In years past, one of the cheapest flooring materials you could purchase was linoleum or other sheet-type flooring. These floor coverings were affordably cheap, but they were also a cheap product. That means they would often tear easily, and wore out quicker than materials of a higher quality. If you that’s what you see when you think of sheet vinyl, you’ll want to think again. Today’s sheet vinyl will rival just about any other floor covering, and has a wealth of benefits. Its construction offers great performance, with a protective top layer in place as well. That top layer is responsible for resisting stains, fading, spills, and all the everyday wear and tear your family can dish out. 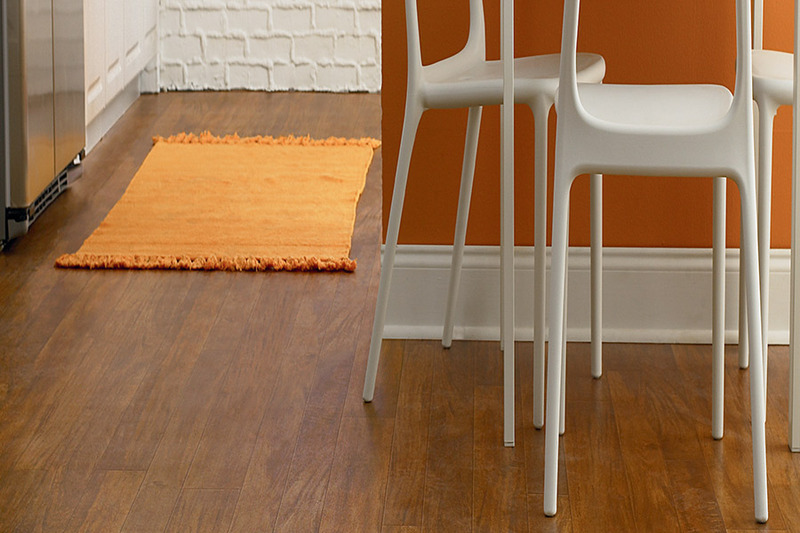 You might not see nearly as many scuffs and scratches as with your old flooring, and it’s just as easy to keep clean. Design options are amazing, with the ability to mimic many natural resources. 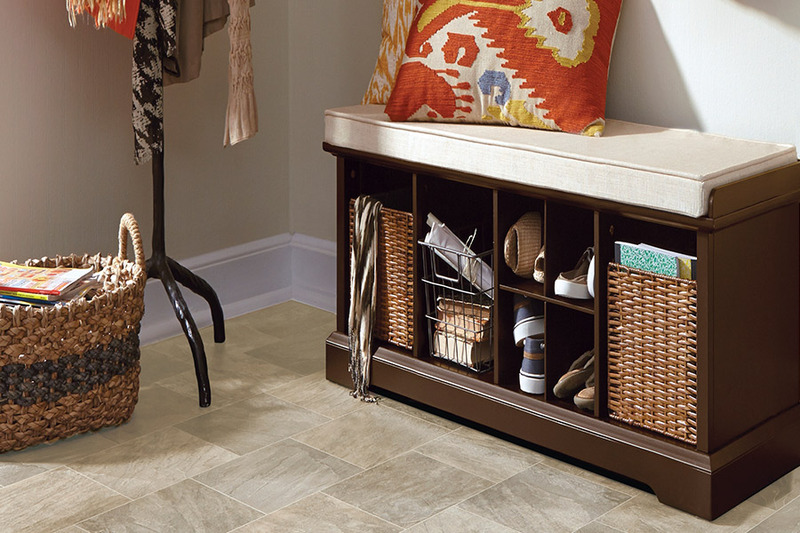 In this product line, you can choose from the wood-look or flooring that looks like marble, tile, slate, and a variety of other natural products. If that isn’t what you’re looking for, just ask about the brightly colored patterns and styles that are also available. 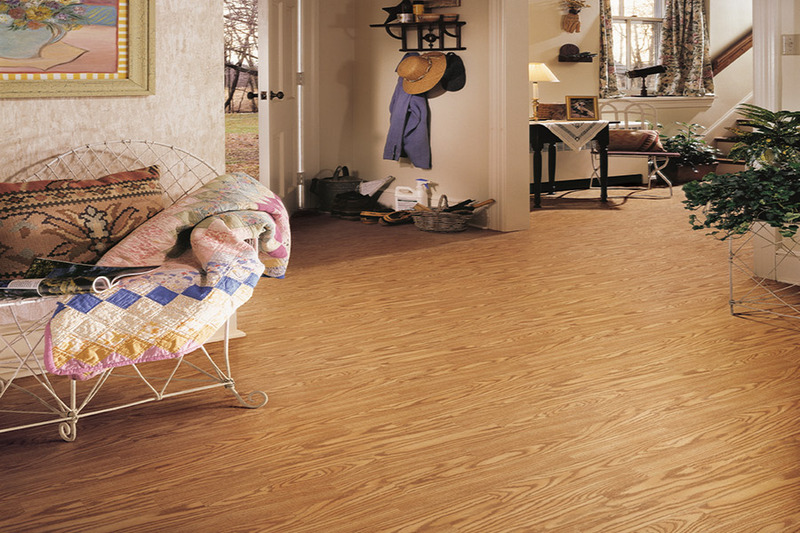 If you’ve ever considered waterproof flooring, sheet vinyl might be a good option as well. Since there are no creases or seams, spills have nothing to penetrate, so there’s much less chance of water damage. Unless the spill reaches your walls, you should be completely safe.